SafeStop is a free, easy-to-use mobile app that features neighborhood maps and a MapView bus locator so you’ll never have to guess when the bus will arrive at your bus stop! Using GPS technology, the app updates every 30 seconds to help you better plan your busy day. In addition, you can have up to two user names per account to share access between parents or caregivers. Please click this link to find more information about how to download the app and add your student's information to it. Just follow these easy instructions to get the app. 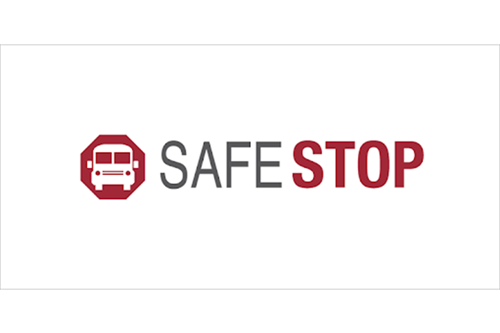 • Search “SafeStop” on your Apple or Android device to download the free app. You can also access SafeStop on the web at www.SafeStopApp.com. • Select “Create Account”, enter your information, and search for your school or district using your ZIP/Postal Code. • Locate and select Newark City School District from the list provided. • Enter in at least one valid Student ID to complete your secure registration. If you have multiple children on different routes, enter in each of those Student IDs. • Don’t know your Student ID? Please reach out to your school administration. Welcome back! Now, let’s get your account back online. Log in to your SafeStop account then click “Reactivate Your Account.” From there, just enter your postal code, select Newark City School District, and re-enter your Student IDs to successfully renew your account for the year.